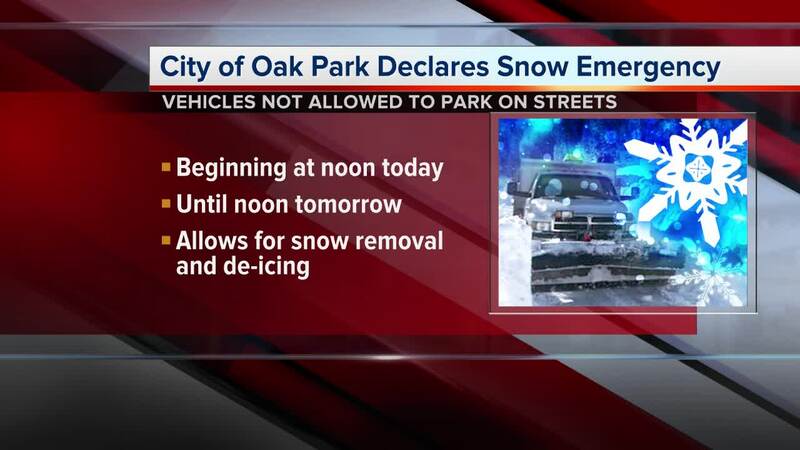 OAK PARK, Mich. (WXYZ) — A snow emergency is set to take effect in Oak Park at noon Saturday, Jan. 19 through noon Sunday, Jan. 20. Officials say parking will not be allowed on city streets until the snow emergency has been lifted. This allows plows and salt trucks to clear snow, de-ice main streets and service drives. Click here for a map of available snow emergency parking locations within Oak Park.